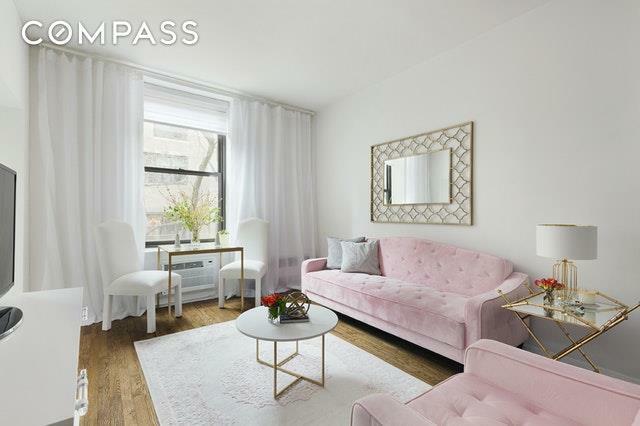 *Please note: 1D is above street level*Awash with natural light, this beautiful one-bedroom apartment in a charming prewar elevator condominium is a peaceful haven and a true joy to come home to. 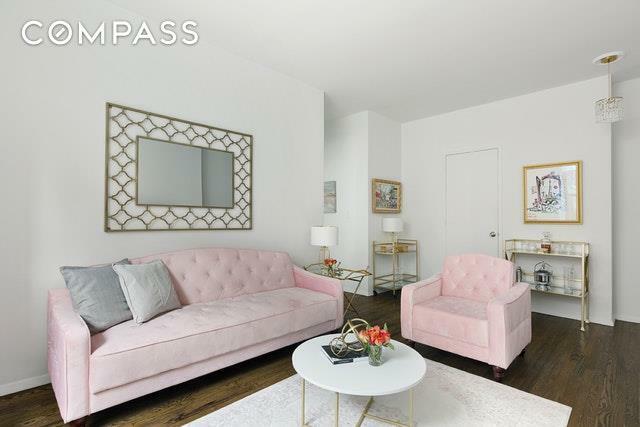 Enjoy the prime location in the heart of Carnegie Hill, on one of the neighborhoods loveliest streets with impressive limestone mansions and landmarked townhouses, just one block from Central Park. Townhouse-style living awaits you in a historic, rarely-available boutique mansion of architectural distinction. 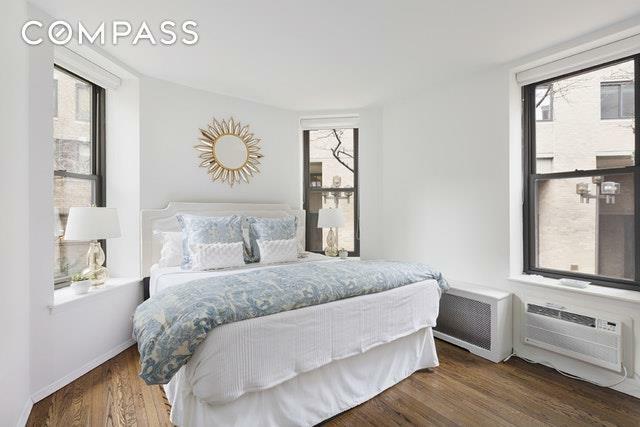 This corner apartment has high ceilings, gorgeous refinished hardwood floors, and oversized windows on double exposures, adjacent to handsome through-block plaza with views of gardens and greenery assures optimal comfort. 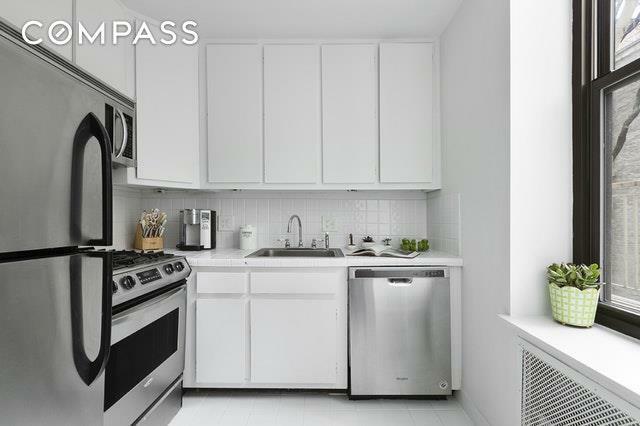 A very smart layout is well served by a thoughtfully-designed, modern windowed kitchen featuring stainless steel appliances. Additional highlights are custom window shades throughout, including blackout shades in the large sunny bedroom; abundant closet space; a full white tile windowed bathroom; plus new through-wall air conditioning units. Extremely well-maintained, 55 East 93rd Street also offers residents a central laundry facility, common storage and bike storage. Very low monthly common charges: $448.63 and Property taxes are $551.89 per month. The address is highly desirable and exceptional, next to Madison Avenue, world-class museums on Fifth Avenue, Central Park, a plethora of cafes and restaurants, and other fine attractions.